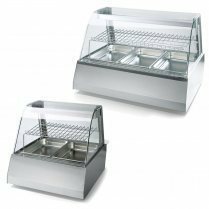 We are engaged in offering an extensive range of Hot Food Display Cases, which is available in different models and capacities. 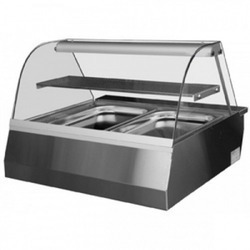 It is designed using quality material and is considered best to keep food fresh. 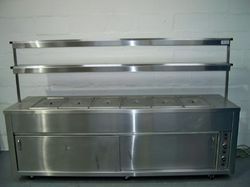 Easy to use and maintain, it is cost-effective and conforms to the international quality standards. We are looking for queries for Steel Kitchen Equipment And Accessories from Tamil Nadu, Kerala, Karnataka & Andhra Pradesh. 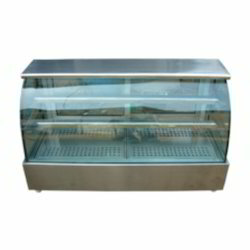 Display Case for Sweet Stall offered comes designed and developed using latest technology support and features glass with heater demist function that allows for clear viewing support. Further, the presence of high performance compressor also allows for reliable and consistent working support. 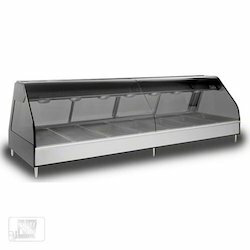 Some of its features include LED light support in every shelf; high-accuracy electric thermostat; sliding rear door; available in different minimum and maximum operating temperatures; provides for high savings on energy. 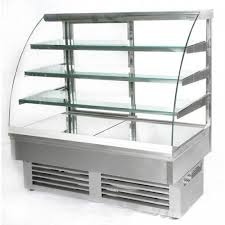 Hot Display Case offered comes designed and developed using latest technology support and can be made available in standard and customized design choices with option of adjusting the structure/style according to customer's requirements. 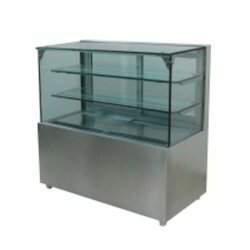 Some of its features include available in wood, metal and acrylic finish; provide for nontoxic and environmentally friendly usage; durable and reasonable price; expertise in producing every kind of food display case as demanded by the customers. 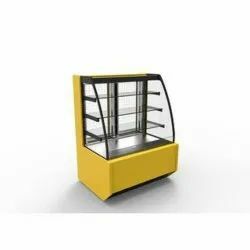 Display Case offered can be made available by us in different finish configurations and comprise glass showcase made of high-class material for lasting performance. 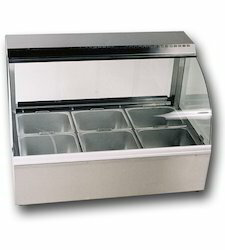 Further, these display case also comes with superior surface treatment as well as have beautiful decent style finish. 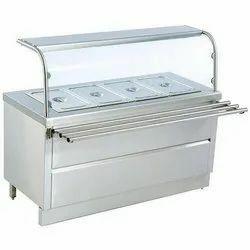 Some of its features include high bearing capacity shelf; durable and fashionable finish; castor wheel support at bottom for easy movement; available in different sizes; can also be provided in customer specified logo support. 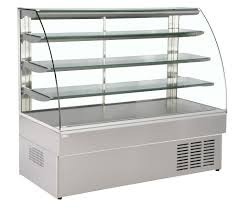 Ice Cream Display Case offered can be made available by us in different finish configurations and provide for dynamic cooling support. 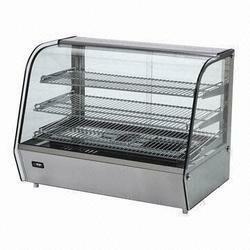 For superior performance, these display cases come with high performance compressor support for optimum work performance. 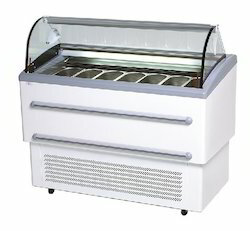 Some of its features include stainless steel structure finish; electronic thermostat support; provides for cooling temperature support from 25°C to -18°C; digital temperature controller; offer frost free with heating; durable wheel support; provide for rapid cooling speed; low energy consumption; beautiful and fine appearance; suitable for use in ice cream chain stores, bakery chain stores and other places. 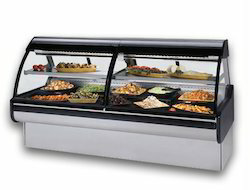 Looking for Hot and Cold Food Display Cases ?